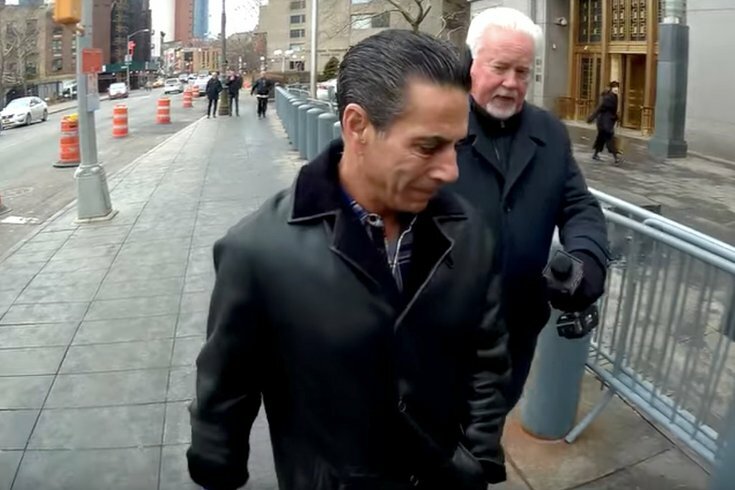 Fox29 investigative reporter Dave Schratwieser interviews Joey Merlino as the mob boss makes his way into federal court in Manhattan in February 2018. In the latest episode of Mob Talk Sitdown, veteran crime journalists George Anastasia and Dave Schratwieser delve into the latest fallout from Philly Mob boss Joey Merlino's mistrial in the big East Coast La Cosa Nostra case in New York City. Will federal prosecutors re-try Merlino, the last remaining defendant in the case against 46 wiseguys and associates. The deadlocked jury and mistrial now leads to discussions of a "potential resolution" of the case. In the Episode 13 of Mob Talk Sitdown, Anastasia and Schratwieser have the latest on Philadelphia Mob Boss Joey Merlino. He dodged another bullet in federal court on Tuesday when a jury failed to reach a verdict on gambling and healthcare fraud charges after a three-week trial. A mistrial was declared. So where does that leave the 55-year-old gangster?